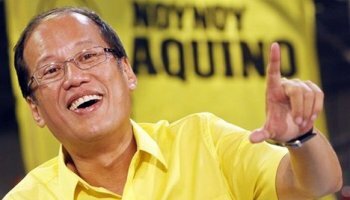 Supporters of Philippine President Benigno Simeon Aquino insist that he is the “greatest” President the country has ever had. Now that his term is about to end, they worry about who can continue his so-called “reforms” after he leaves office. However, the fact that they are worried about who the next President will be already tells us that the legacy BS Aquino will be leaving behind is not a good one and therefore, he is not the greatest President the country has ever had. The truth is, a lot of Filipinos lost their moral compass as soon as BS Aquino started his term. That was when disrespect for the country’s institutions and failure to uphold the rule of law became acceptable in Philippine society. Prior to BS Aquino’s term, most Filipinos were united against corruption. Prior to his term, a lot of people rallied outside on the streets or supported those who did so. The Black and White movement – a movement organized by the upper class members of society – rallied alongside militant groups like Bayan Muna and Gabriela – groups organized by the middle class fighting for the lower class. Nowadays, some people, mostly from the Black and White Movement who are now allied with the incumbent, have become confused and have turned a blind eye to the corruption and gross incompetence that pervade BS Aquino’s government. 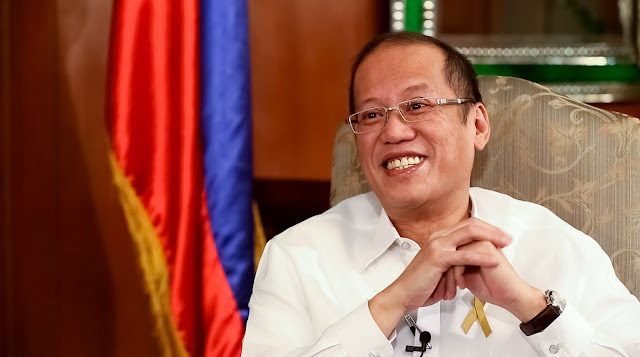 Of course the President’s supporters – those who are beholden to the Aquino name – will deny any wrongdoing by the President and defend his actions by saying that “the end justifies the means”. That’s what they say every time BS Aquino persecutes a sick and frail former President Gloria Arroyo by talking about her alleged “crimes” in front of the media. Yes, the right to presumption of innocence is now a lost concept for many Filipinos because of BS Aquino. People are now quick to assume someone is guilty once the media allied with the incumbent says someone is “corrupt”. We recall that after months of relentless black propaganda by BS Aquino, a lot of Filipinos were convinced the Department of Justice headed by Leila De Lima had every right to stop Arroyo from seeking medical treatment abroad back in 2011. Never mind when there was no pending case against her at that time that would have justified the hold departure order and her subsequent detention. BS Aquino still talks about Arroyo’s alleged “crimes” as if they have been proven in court. For the record, most of the charges against her have been dismissed for lack of evidence. 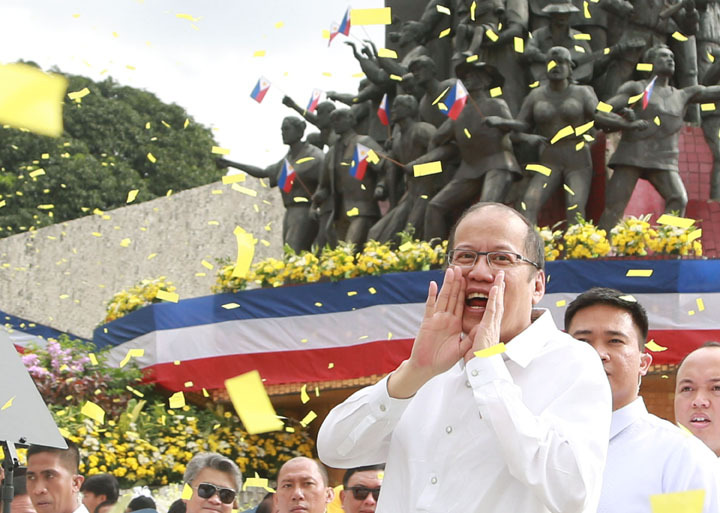 That did not stop BS Aquino though from blaming her in his final state of the nation address. We also recall that after months of relentless black propaganda by BS Aquino, a lot of Filipinos were convinced that Congress was right in impeaching former Chief Justice Renato Corona and that senator-judges were right in voting the guilty verdict at the conclusion of his trial. Never mind the fact that during the trial, it was proven that impeachment complaints were badly-written and the charges were trumped up just to railroad the impeachment process. And, more importantly, before, during and after the trial, allegations that BS Aquino bribed congressmen and senators using pork barrel funds so they would vote the “guilty” verdict were already being reported. Members of the public ignored this because in their mind, thanks to the trial by media perpetuated by BS Aquino and his supporters, they were convinced that Corona was corrupt and needed to go. It is worth mentioning that three of the senator-judges who gave Corona the guilty verdict are now detained and facing much bigger corruption charges for their involvement in the pork barrel scam compared to Corona’s inaccurate statement of assets, liabilities and net worth – a charge that the law allows the public servant to correct without removal from office. What happened to Arroyo and Corona is enough proof that BS Aquino set a precedent for the executive to abuse his power. 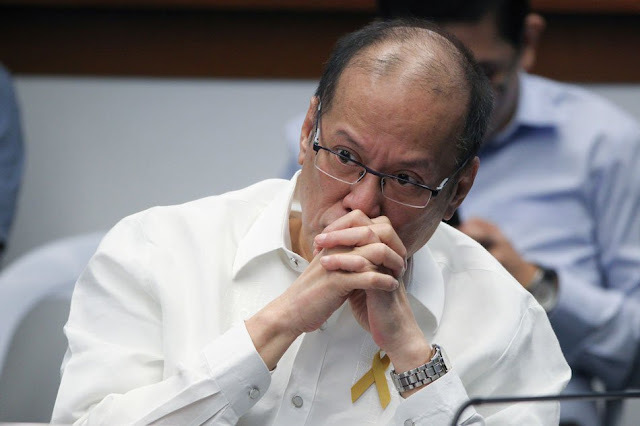 Since BS Aquino thought that he had sole control over the national budget, he also thought he had control over the other branches of government – legislative and judiciary. The problem is, a lot of the members of congress can be bought by pork barrel funds and were still willing to compromise their principles in exchange for the executive funding of their “pet projects”. 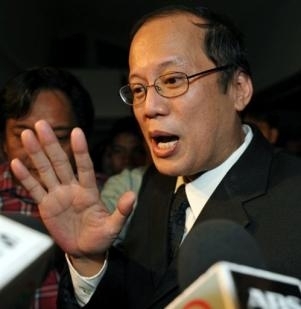 This is why impeachment cases against BS Aquino did not progress in congress. Speaking of pork barrel, former Senator Panfilo Lacson is convinced “that PDAF or pork barrel and DAP are alive and kicking,” in the 2015 budget. He said his group has sufficient documents in their possession to show that pork is present in the 2015 General Appropriations Act (GAA). Lacson also noted that the new budget now allows “savings” to be declared even before the end of the fiscal year. This will give Budget Secretary Florencio Abad another excuse to transfer and use the funds “saved” at the executive’s “discretion”. No wonder a lot of Filipinos are worried about who will take over the Presidency. Whoever wins will likely copy what BS Aquino is doing – use the public’s funds to continue patronage politics instead of using it to build and maintain vital public infrastructure. 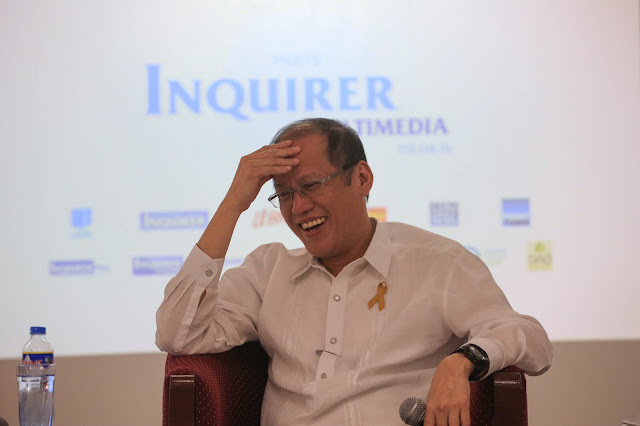 The irony is, BS Aquino supporters do not even realize that the source of dysfunction is BS Aquino himself. If ever Binay wins the Presidency for example, he can ask his own Budget Secretary to do what Abad is doing now – insert pork barrel in “projects” and then declare it as “savings” before the fiscal year ends so he can use it as his own “disbursement acceleration program”. BS Aquino’s supporters often cite the economic growth rate and a few credit rating upgrades the country has achieved during his term. Both however, do not result in improvement in the lives of the majority. They are also not sustainable because the industries that fuel the growth rate are in the retail and real estate industry. And no matter how much they deny it, the economy still relies heavily on remittances from overseas contract workers. The credit upgrades will only translate to something significant when the borrowed funds are used to upgrade facilities and infrastructure that would then invite more local and foreign investments. At the rate BS Aquino’s government is “saving” funds, this will not happen in the remaining months of his term. 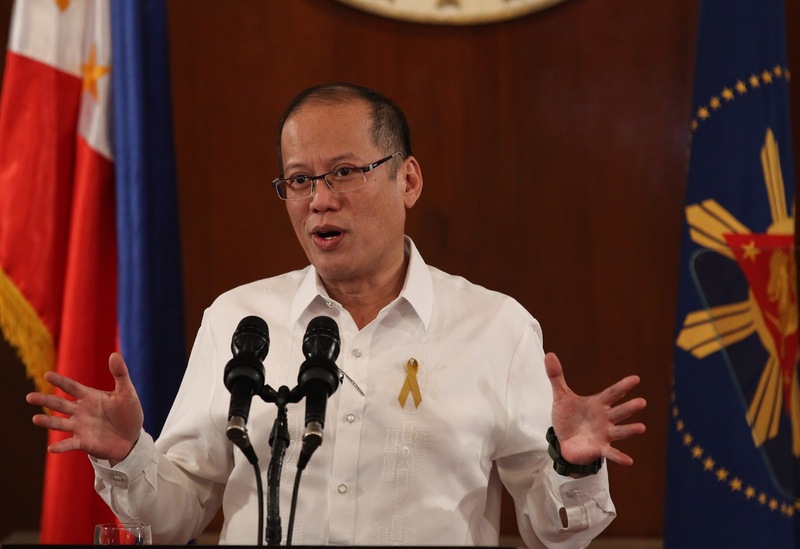 Instead of institutionalizing good governance, BS Aquino institutionalized patronage politics. As a consequence, instead of uniting the Filipino people, he divided their sentiments. Because he perverted the terms “honest” and “integrity”, Filipinos no longer know their true meanings. Compassion has turned to vindictiveness and cynicism. 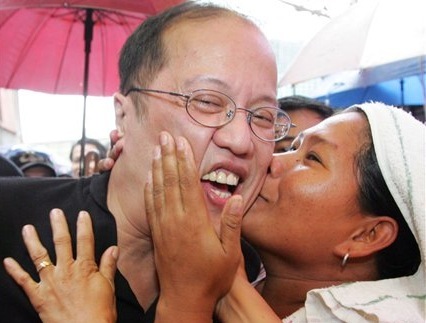 Instead of promoting loyalty to country, BS Aquino promoted loyalty to him and his party. Filipinos are now confused over who to trust. Mainstream media does not help in fostering unity and kindness with their biased and negative reporting. They only give airtime to possible candidates who are deemed “popular”. Only the names Poe, Binay and Roxas are often featured on the front pages of mainstream media. They do not bother to feature less-popular individuals who are more qualified. No wonder there are no competent individuals from the private sector who want to run for President. They likely fear being dismissed as a nuisance and worse, being demonized. No one in their right mind would want to run against politicians who have the machinery to ruin their lives. And frankly, there are people who won’t think twice about destroying the lives of their rivals. That is why the Philippines — a country of 100 million — is now a place where finding even one good leader has become exceedingly difficult. Indeed, the environment of hate and distrust in Philippine society became worse during BS Aquino’s term. One can be forgiven for saying that he is the worst President the Philippines ever had.